Iberian mouflon & Red deer. Trophy hunt package. Big Game "Los Claros"
Iberian mouflon & Red deer. Trophy hunt package. The best hunting offer in Spain of trophies of Iberian Mouflon and Pure Iberian Red Deer. The only and unique offer in Spain that gives you the guarantee for a SCI Gold medal class Iberian Mouflon and a SCI medal class pure Iberian Red Deer, the possibility to hunt a TOP20 Trophy or bigger, even a new World Record of Iberian Mouflon. Not in vain, right now 2018, 5 of the TOP10 trophies of Iberian Mouflon have been taken at “Los Claros” hunting estate. Plus one more TOP10 trophy pending of approval, hunted with bow (probably the New World Record with bow). Between September 1st and November 1st the success of hunts at "Los Claros" for the 20 quality trophies packages offered is almost 100% guaranteed. Full board hunting package of Iberian Mouflon and Iberian Red Deer. 4 daily rates for hunter and companion in double use bedroom with private bathroom (that means 3 nights and 2 full hunting days). Full board at “Los Claros” Airport assistance and shu[le to “Los Claros”. Bigger trophies can be hunt, but they have different surcharges depending on its score TOP20 trophy, TOP10 trophy or even World Record. Also you can hunt wild boar. 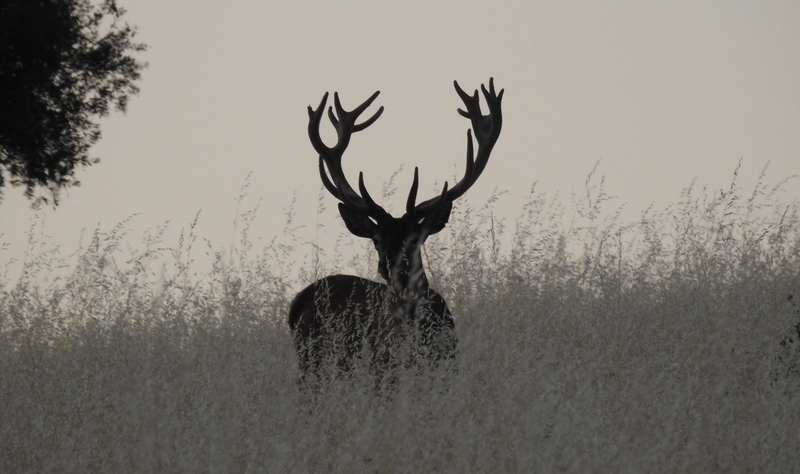 For more info, please visit our specific offer on Big Game Hunting Spain or contact with "Los Claros".